Linksys recommends that when upgrading the camera's firmware, use a computer within the camera's local network. If you attempt to upgrade the camera's firmware from a remote location (i.e. using a computer outside of the camera's local network), the upgrade may fail. NOTE: When you upgrade the camera's firmware, you may lose the settings you have saved previously. QUICK TIP: If you don’t know the model number of your camera, click on the How do I find my model number? link. 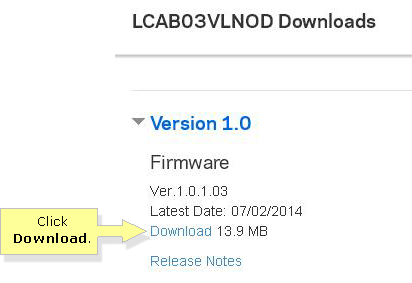 Make sure to take note of the hardware version beside your model number. NOTE: Select the appropriate hardware version for your camera. The hardware version can be seen beside the model number of your camera. Click Download under Firmware to download the latest firmware. 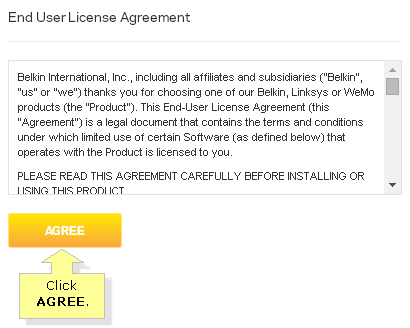 NOTE: You will be prompted with the End User License Agreement, click AGREE. NOTE: The file size differs for each device. If you are using Windows XP Service Pack 2 (SP2) and Internet Explorer, you may see a Pop-up blocked message in your browser’sInformation Bar. If so, click the bar and select Temporarily Allow Pop-ups then click Download again. Click Save in the File Download dialog box that appears. Look for the Save As dialog box, choose a location for the file like the Desktop and click Save. When the download is complete, click Close, if prompted. NOTE: Be sure to remember the file name and where you saved it. Access your camera’s web-based setup page. To learn how, click here. 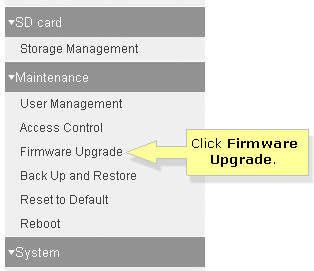 Scroll down to the Maintenance section in the left navigation and click Firmware Upgrade. Click Choose File and select the camera’s downloaded firmware. Click Upgrade. 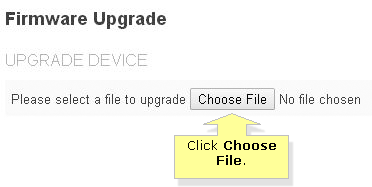 A prompt will then ask you for confirmation to upgrade the firmware, click OK. IMPORTANT: DO NOT unplug the Ethernet cable or turn OFF the device during firmware upgrade. Your Linksys Small Business camera should now be successfully updated.